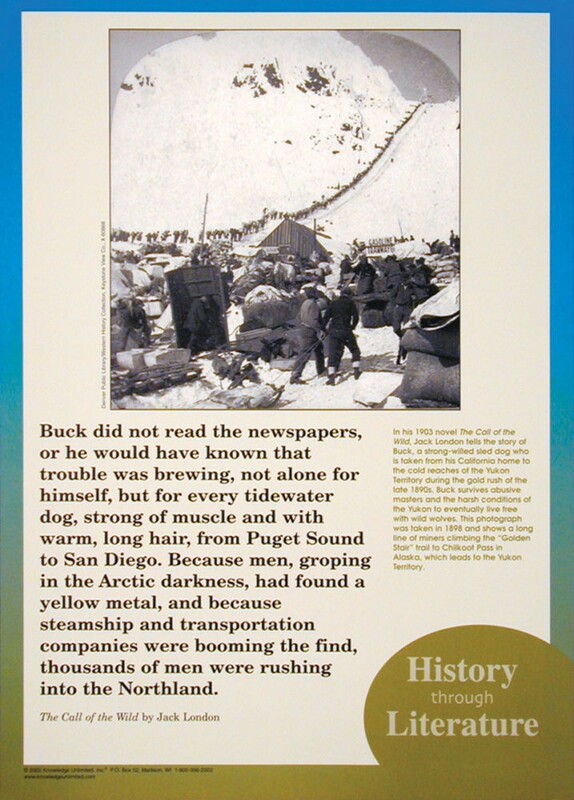 This poster connects Jack London's classic novel "The Call of the Wild" to the period in history in which the novel takes place. 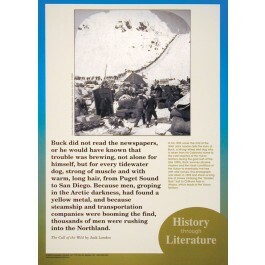 The poster contains a historic photo taken in 1898 that shows a long line of miners climbing the "Golden Stair" trail to Chilkoot Pass in Alaska, during the gold rush, along with explanatory text that illuminates the connection between literature and history. It also contains a quote from the classic novel.